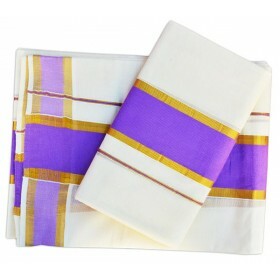 Kerala double mundu having off white colour with border combination of black and silver and thick bl..
Get your sweetie pie dressed for traditional occasions in this fusion pavadai set comprising of a br.. 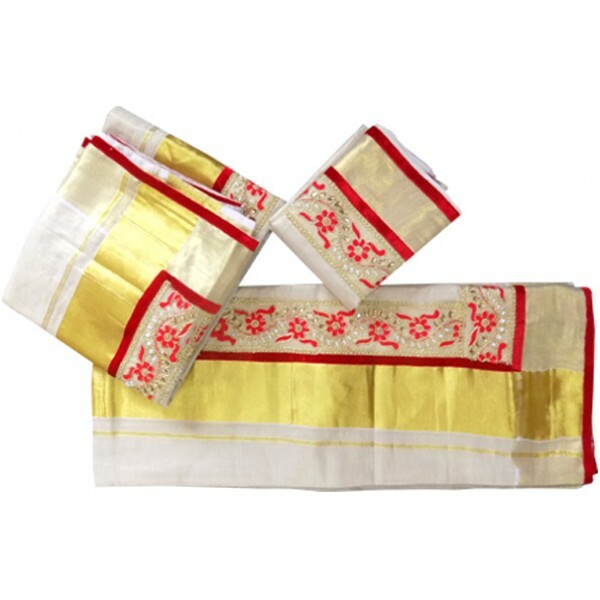 Thick red brocade renders a graceful touch to this Kerala cotton saree. 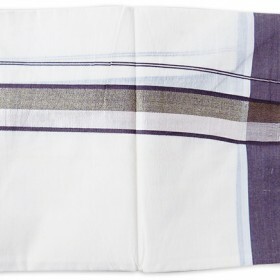 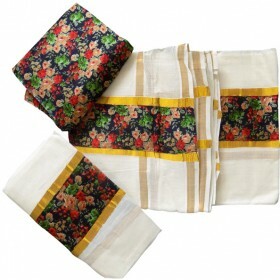 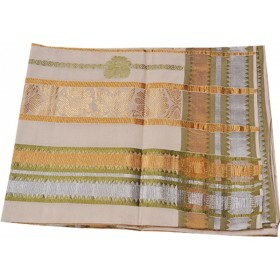 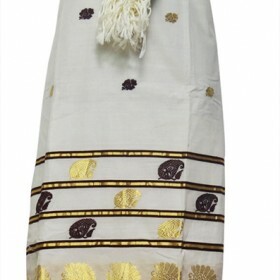 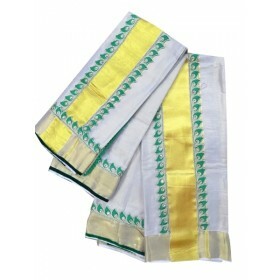 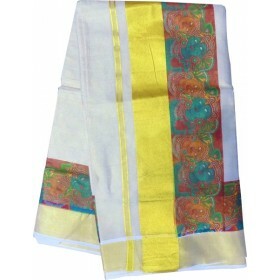 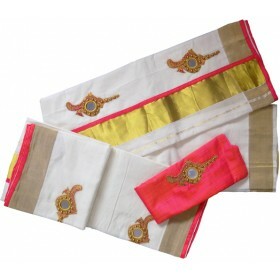 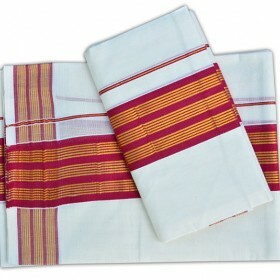 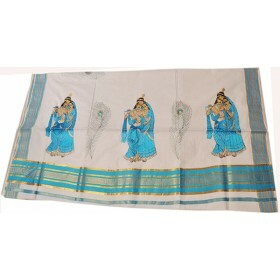 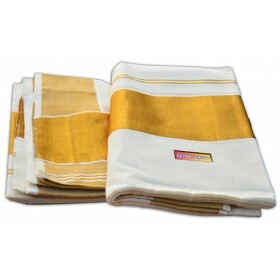 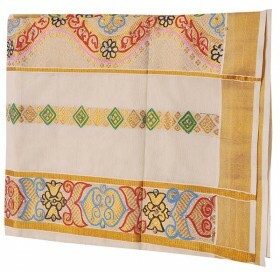 The golden kasavu stripes in..
Kerala traditional tissue settu kasavu mundu with Stones border. 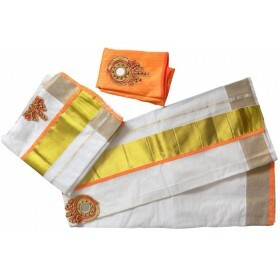 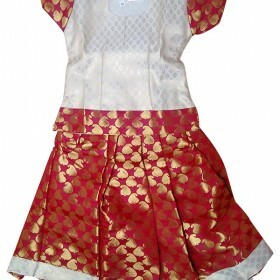 The golden color material and stones design are simple elegant look while wear any special occasion.And the border having the shining brocade works and the matching blouse piece is more attractive on this type of design Kasavu mundu.